Sally Ann Swearingen, associate professor in Stephen F. Austin State University's School of Human Sciences, is serving as the Southwest regional chair for the Interior Design Educators Council. 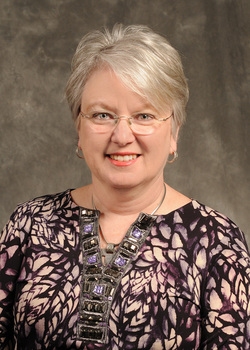 NACOGDOCHES, Texas - Sally Ann Swearingen, associate professor in Stephen F. Austin State University's School of Human Sciences, is serving as the Southwest regional chair for the Interior Design Educators Council, an organization that works to advance the education, scholarship and service of interior design. "It has been a wonderful way to network and meet other educators in the field of interior design," Swearingen said. "It has provided a way for faculty members to brainstorm and learn about common issues." Swearingen is serving as chair for two years. The Southwest region comprises educators in Arkansas, Colorado, Louisiana, Mexico, New Mexico, Oklahoma and Texas. As chair, Swearingen organizes and leads the regional meeting and participates in regional conferences, which include research and professional presentations. "It is a great way to see what others are doing and what their research interests are," Swearingen said.